Akeisha Lewis had her formal training with a sewing a machine from an online course, but even as a child she knew the magic that could come about from needle and thread as she watched her seamstress mother ply her trade, and then progressed to sewing clothes for dolls and then for herself. The sewing course took her easily into her chosen direction, making a range of bags, clutches and purses, which evolved almost immediately into a business, Black Tequila Concepts & Designs. “Since a little girl, I would follow my mother on her sewing machine. I would sew dolly clothes as a teenage until I started sewing my own clothes. My mother bought me a sewing machine about three years ago. I placed it under my bed and never touched it until a day in July 2016 when I decided to start a sewing class online. One of the first assignments we had to make was a fold over clutch, then an ear bud case and well the rest is Black Tequila Concepts & Designs history,” Lewis chuckled. She registered the business on October 26, 2016. And needless to say, her Singer 4432 Heavy Duty sewing machine is no longer relegated to a place under her bed but is a tool she now cannot live without. “It is not the best but for now he helps, and it gets the job done,” she said of the machine. Lewis showcased her range - clutches, purses, hobo bags, handbags and wallets for women – at the Division of Community Development’s Road Market experience last Thursday at Gardenside carpark, Scarborough. “My inspiration to start Black Tequila Concepts & Designs came from my love of creating new things,” she said in an interview at her booth. “The original idea started back in 2015. My goals for 2015 was to find three hobbies to make me money, to keep me in shape and to be creative, and that’s where my passions came in,” she said. Now she is inspired by her customers’ response to her creations. “What I love most is creating a new design, seeing it come to life and the expression on my customer face when they have received their packages. In terms of my best creation … there are so many, I am a true lover of my creations, if I had to choose, my first love would be the second clutch I made, this was made out of African fabric and had pleats, my second love was a multi-coloured clutch purse I did for my Aunty, which she showed to her hairdresser who never give it back to her; just gave her cash, and my third love was a wallet I made for a customer who requested a bunch of colours and then said she wanted it done out of African fabric. And then a collaboration wallet I did. I have so many ‘best’ items,” she said. To date, she has made and sold over 200 items. It was a success she didn’t anticipate. “No… I’m new to this industry, still growing and becoming better at what I love but what I can tell you is that the demand is high. I remember the first clutch I made I was surprised at how it came together. Then I did a few more and showed it to my Aunty, who was overjoyed and asked to purchase a few and from then I did some more and got them sold,” she said. Entrepreneur Akeisha Lewis, facing camera, owner/operator of Black Tequila Concepts &and Designs, interacts with a customer at last Thursday's Division of Community Developments Road Market experience at the Gardenside carpark in Scarborough. But just what exactly sets her apart from her competitors within the industry? “I believe that everyone in this industry has a unique talent, style and flair. We all have some of the best products on the market, and something unique about our products, I believe what sets me apart. meeting the challenges set out to me by my customers, not being afraid to take a chance with a particular style or design, being creative and still willing to take advice for someone who has been in this industry longer than I have. I love what I do, what I can create and the reactions I get for some of my customers,” she said. Nevertheless, promotion and marketing continue to be the greatest challenges. “The hardest thing is getting my products out in the local public eyes. I do have an Instagram page - BlackTequiladesignstobago and a Facebook page BlackTequila Designs & Concepts. 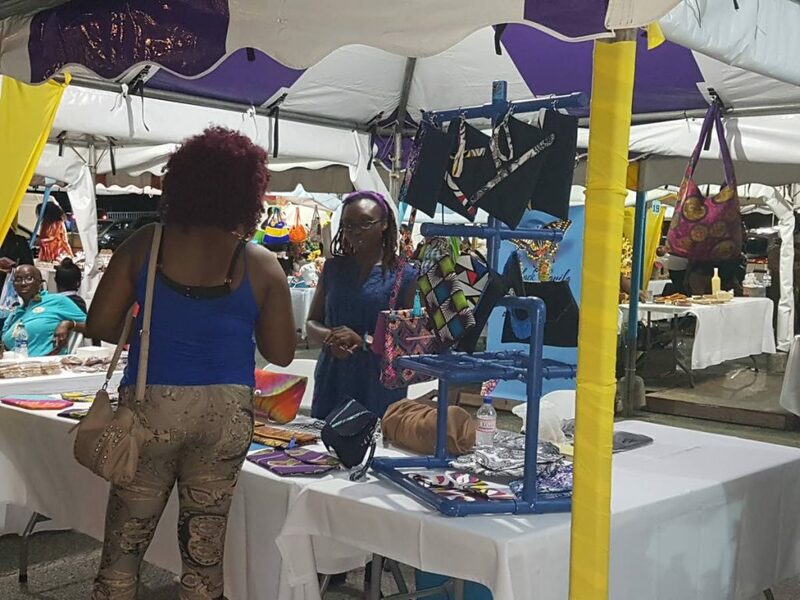 But to really get a face in the local market, I am very grateful for the Division of Community Development, Enterprise Development and Labour, through their Road Market Experience, I have gotten my business face into the streets and markets of Tobago,” she said. 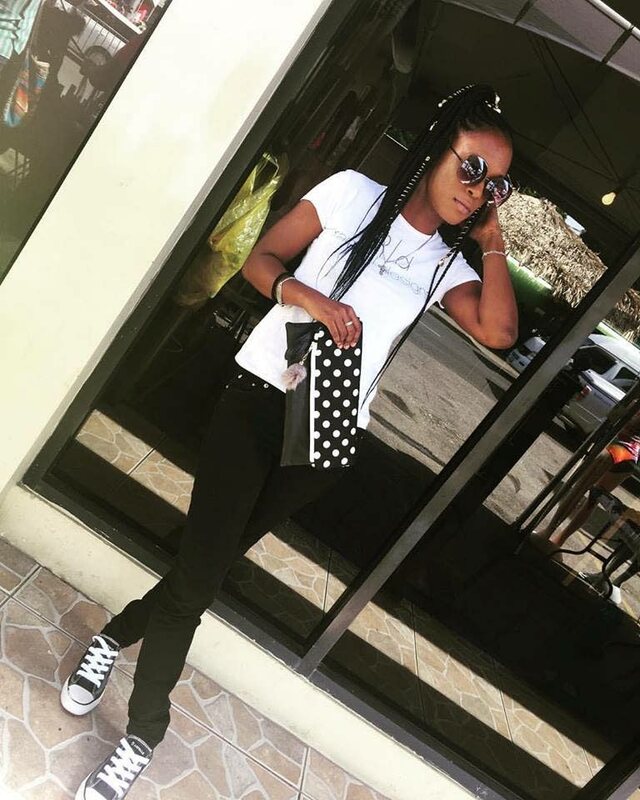 She also features her products at various pop-up shops and markets across the island. As she concentrates on turning her passion into a viable business, Lewis encourages young persons who want to get into business to put God first. “Firstly, I would quote Maya Angelou, ‘Do the best you can until you know better. Then when you know better, do better’. But, young people need to know to put God First, always give of their best at what they are doing, keep positive thoughts, think positive about themselves and their business and always be positive. The competition they have is themselves,” she advised. Reply to "‘I am a true lover of my creations’"